What do we have in Forbes at the beginning of the season? 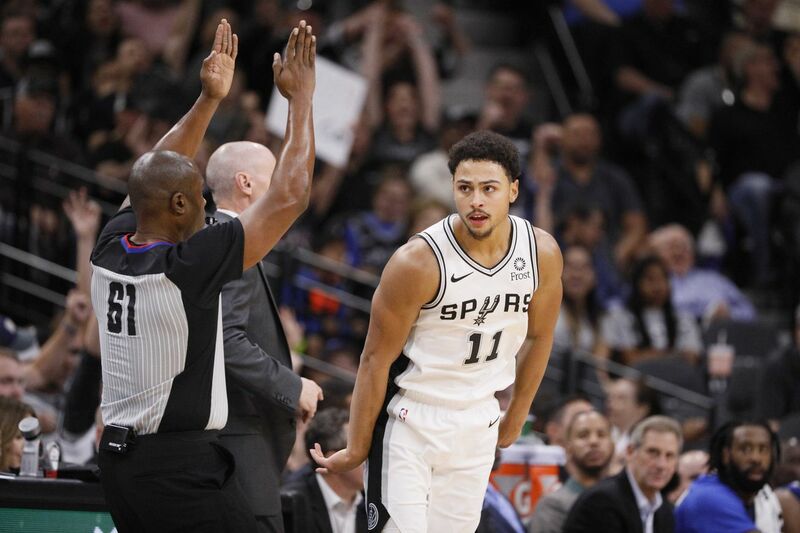 Bryn Forbes is the first Spurs starting point guard to open the season with five straight double-digit scoring games since Tony Parker in 2013-14. Imagine if Gordon Hayward and Kyrie Irving hadn’t gotten injured last year for the Celtics and fans in Boston were only just now starting to realize how good a player they had with Jayson Tatum and you might get a sense of the blinking cautious surprise creeping across the faces of Spurs fans as Bryn Forbes has started the 2018 season shooting like a man who knows how to shoot. He made five threes against Portland (although that wasn’t exactly what the game was remembered for among some in the short-term.) He made four in the overtime thriller against Los Angeles (a match-up we’d love to see again.) He made two against the Mavericks. He’s attempting 5.5 three-pointers per game — which currently leads the team — and is making 45% of them. And while the league-wind trend in three-point shooting might not be where Pop’s interests lie (could you imagine trying to talk to him about the four point play nonsense folks were talking about not too long ago?) it’s not like Pop doesn’t understand the need for a three-point shooter. Hence Forbes. One thing to note amongst the recency bias feeling of ‘Forbes as a shooter,’ is the fact that almost all of the threes he’s made this season have come from an assist. There’s nothing wrong with that — and he certainly knows how to get open, as the above clip featuring a game where he made 11 3’s for Michigan State two years ago indicates (as well as the clip below featuring his game against Portland) — but the data doesn’t suggest he’s ‘creating his own shot’ just yet. Given Pop’s system — where everyone gets a touch — that’s not necessarily important. But Forbes not playing iso also happens to speak to a broader point about Forbes as a player: every summer, a player likes to add something to their game. Lonestar DeMar has spoken about how helping his teammates is one thing he has on his mind as he continues to grow, a fact on evident display as he consistently pursues a career high in assists. Given that norm, it’s not unreasonable to think that — as the year progresses — and as Forbes gets more time on the court and summer rolls around once again, the man will have a go at upping his defensive game.